Convicted (2017) by Jameel McGee and Andrew Collins is a true story about a crooked cop and an innocent man. This non-fiction text will be released on September 19, 2017. This book will come in all forms including eBook, and is 213 pages in length. With a full-time job and a five-year old at home, this book took me three days to read. I received a copy of this book from WaterBrook Press; all opinions expressed in this review are my own. I give this book 5 STARS. This text is a Non-Fiction Christian biography. Speaking directly to recent headlines and cultural tensions, this is the poignant account of a crooked white cop who framed an innocent black man–and how their stories later intersected to show a divided nation a way forward to reconciliation and healing. This revealing story explores racism in small-city America and ultimately highlights the power of the gospel to heal the relationship of two of the most unlikely candidates for reconciliation. Reading this book is like going on a roller coaster. I went through every type of emotion possible from shock to anger to disbelief to resignation to defeat to hope. This text is a must read for everyone! It will challenge you, it will hold a mirror up to you and force you to confront some ugly truths that may be lurking deep inside. This book will help you draw closer to God. When I signed up to be part of the book launch team for this book, I didn’t really have any expectations. The description of the book caught my attention, and it really caught my husband’s attention, but I didn’t really know what to expect. I actually thought it would be a bit stereotypical: a wicked white cop with an ego the size of Antartica, and a poor black man. I didn’t want that story. That story is always being told on TV, in movies, and in the news. 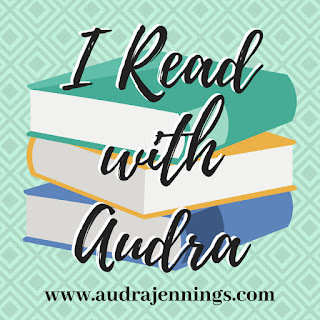 Now, Andrew Collins does eventually describe himself as a bad cop with an ego and pride problem, and Jameel Collins does become a poor black man because of depression and bad life choices, BUT this book is not a stereotype. What I really like about the book is that it is told through both men’s points of view. One chapter is Jameel’s, the next is Andrew’s, and it continues to switch back and forth as the events take place. The reader gets to see the same event in history through two eyes. I loved this so much. It was fascinating to see an event unfold through two vastly different people’s experiences. Forgiveness is hard. Forgiveness is really hard. Whether you have to give it or accept it, it’s one of the hardest things to experience. If you have to give it, you have to overcome your pride, arrogance, fear, failings, etc., which is a really hard thing to do. Many times, our egos and selves get in the way, and we don’t even realize it. If you have to receive forgiveness, you have to overcome your anger and distrust with the person who hurt you. For me, anger is my Achilles heal. I relate so much to Jameel McGee’s struggle with anger and forgiveness in this book that many times it felt like I was looking into a mirror while I was reading. This book is a Godsend. There are so many good reminders in this book, but for me, the best reminder is Proverbs 15:1, “A soft answer turns away wrath, but a harsh word stirs up anger” (ESV). I cannot express how important this book is. I highly, highly recommend it. This is a story that needs to be read by everyone, especially with all that is going on in our nation today. This book has left a lasting impression in me. It has shown me some things I need to change NOW. And, it has again shown me just how important and necessary it is to draw close to God every day. I hope that when this book is released, you purchase a copy immediately. 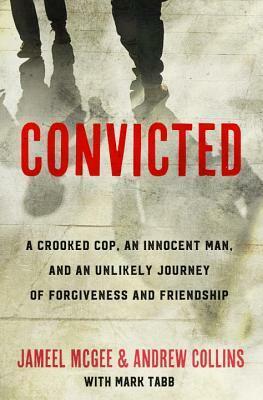 But until then, click on the link below and enter my giveaway for a chance to win the ARC copy of Convicted. Hold the Light (2017) + Interview with April!!! What a great review. I agree with you on all of it. I love that quote by Jameel. In fact, that qoute has really helped me these last two weeks, since I have read the book, whenever I was tested on things I claim to have let go and handed over to GOD. I sincerely hope that everyone will get a copy of this book… Especially if you don’t think this is your type of story. It is a quick, simple and easy read. Aside from the Bible, I think this is the only book in which I have felt EVERYONE should read…. The messages in this book are that powerful. I know the main theme they are going for in this book is True Forgiveness, but there are so many other beautiful golden nuggets to yield from this story, as well, if only you take the time to hold this book up as a mirror to youself and steer clear of your own pride, ego and judgement, which I have to admit was one of my struggles as I read through this book. For those of you who do get and read this book, I would love for you to come back and post your thoughts and comments here, as well as all the standard places, such as Amazon and so forth. Thanks for your comments, Robert. I love the book had such an impact on you!!! It did me, too. I have seen a lot about this book in the past few months but have not gotten around to reading it yet. I especially liked your thoughts on the aspects of forgiveness. Most small groups at my church right now are reading The Story, but this week and next week my pastor is doing a mini-series on Forgiveness. This is the biggest message I am carrying with me into 2018. to let go and forgive truly and completely. Convicted was a hard book for me to read. I struggle with letting go of things. I think I’ve done a good job, I think I’ve prayed enough for help, and then BAM! Someone says something or does something and I’m back to being angry. And, then I feel guilty because I’m not actually in a good place, but I don’t know how to fix it. I really related to Jameel in how he deals with things. Convicted was exactly the book I needed to read. I highly recommend it!